A. Unfolding / Folding the key. 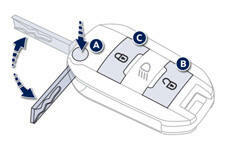 C. Normal locking of the vehicle Vehicle location.